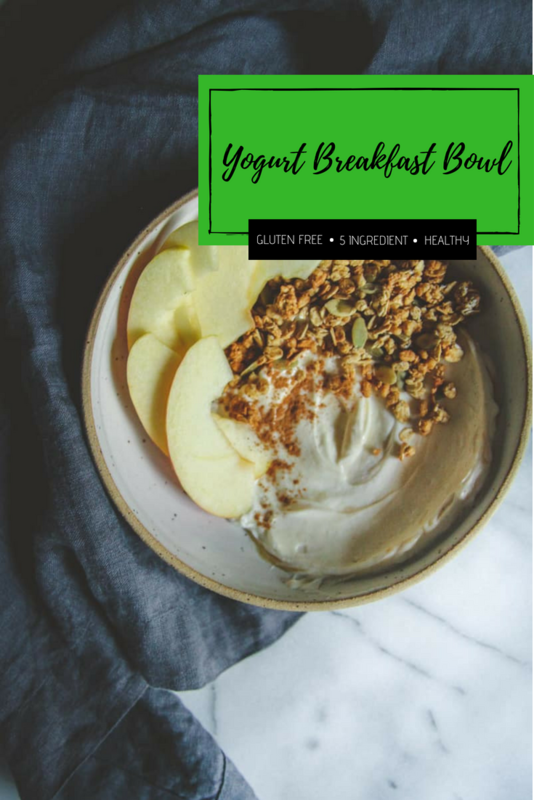 Today I’m going to share with you my new favorite healthy breakfast which is a 5 ingredient Greek yogurt breakfast bowl. 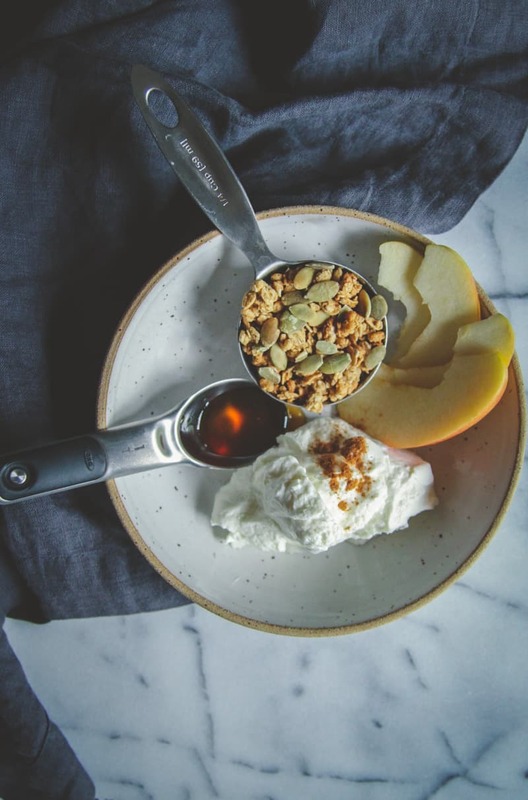 The problem I’ve always had with making breakfast bowls is that I haven’t known what proportions of ingredients to use, so I’d end up with too much yogurt or too much granola, and it just wouldn’t be great. 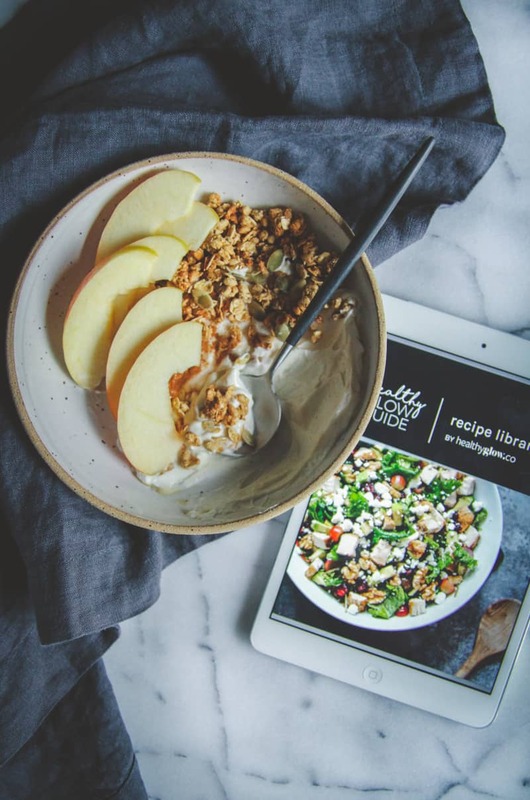 Not anymore though, now I have the exact proportions which I’m going to share with you in this recipe for the best ever healthy yogurt breakfast bowls. They’re perfect, and it’s all thanks to the Healthy Glow Co. 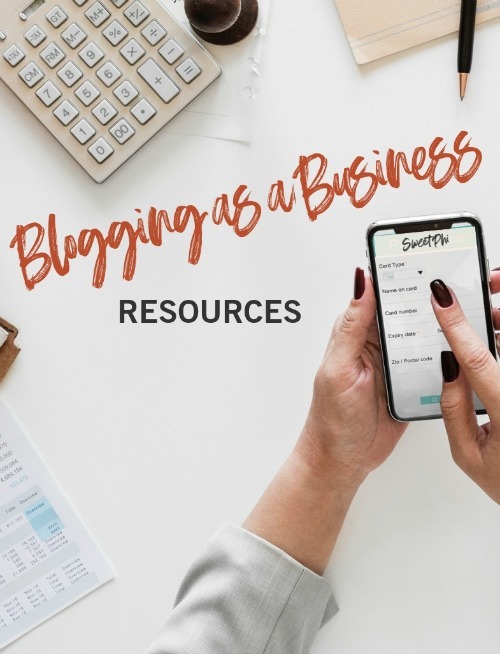 So, I have to tell you about the Healthy Glow Co. because it’s such a great community. 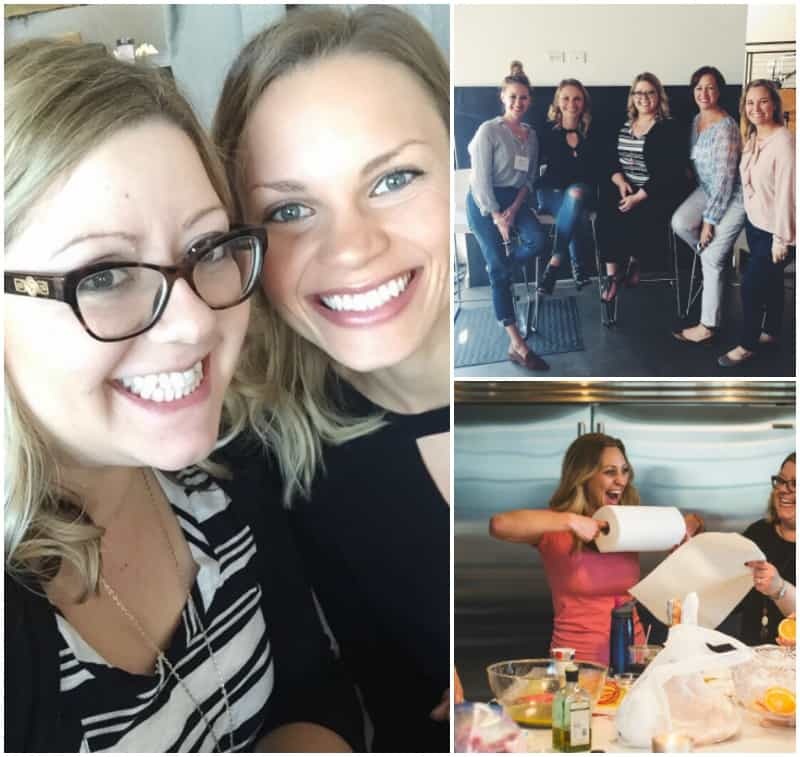 “The Healthy Glow Collective is a community and resource that encourages women to live a healthier, vibrant lifestyle and glow from the inside out”, and was started by two awesome bloggers I am lucky enough to know and call friends: Monique from Ambitious Kitchen and Lee from Fit Foodie Finds. I’ve had the pleasure of attending retreats and speaking on a panel with Monique (ChiTown retreat) and Lee (Fresh Coast retreat) and you know when you just vibe with people? Well, it was like that with these two women. 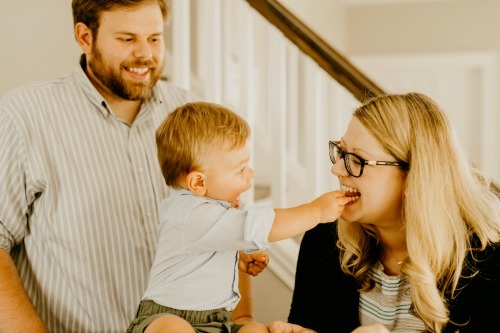 They have positive attitudes and are both such an inspiration for healthy living and fitness, and they’ve created something wonderful together. 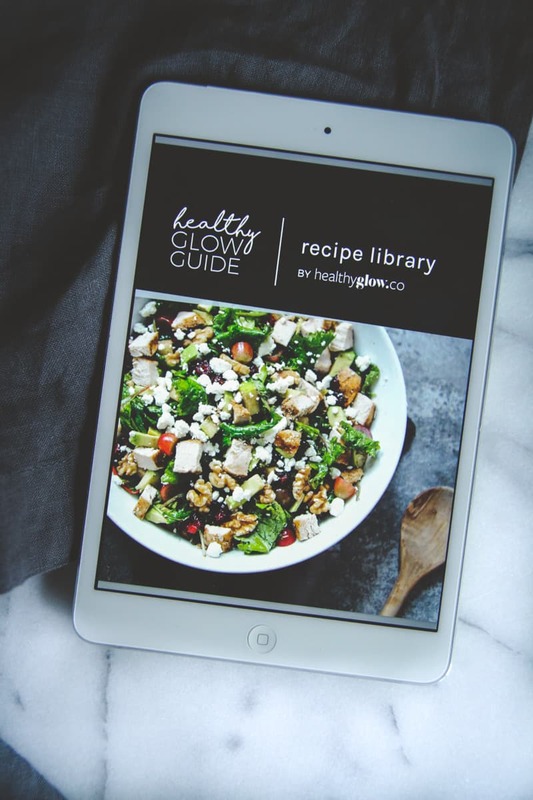 As part of the Healthy Glow Co. they have meal plans and recipes and fitness plans. The amount of work that has gone into it all is very apparent, it’s beautiful work and so thoughtful. The meal plan/recipes come with weekly shopping lists, and the documents are so well crafted and easy to use. And the recipes, oh my goodness, I seriously cannot wait to cook my way through them! I’ve already made the skinny banana chocolate chip muffins, pork carnitas meal bowls (my hubby LOVED these) and the turkey bbq meatloaf. Each recipe is truly delicious and I feel so good about the food I’m eating. After having Ben, I can tell you that the Healthy Glow Co. is exactly what I’ve been looking for and needing in my life to get me back on track. 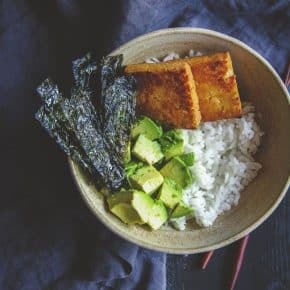 It’s not a weird diet plan, it’s healthy, delicious recipes, meal plans and a great supportive community, I highly recommend checking it out. 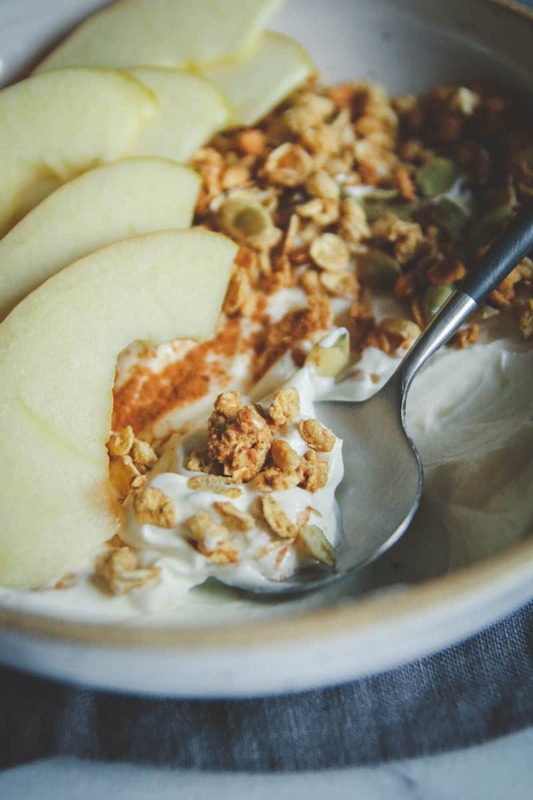 Now, these 5 ingredient healthy Greek yogurt breakfast bowls couldn’t be easier to make. 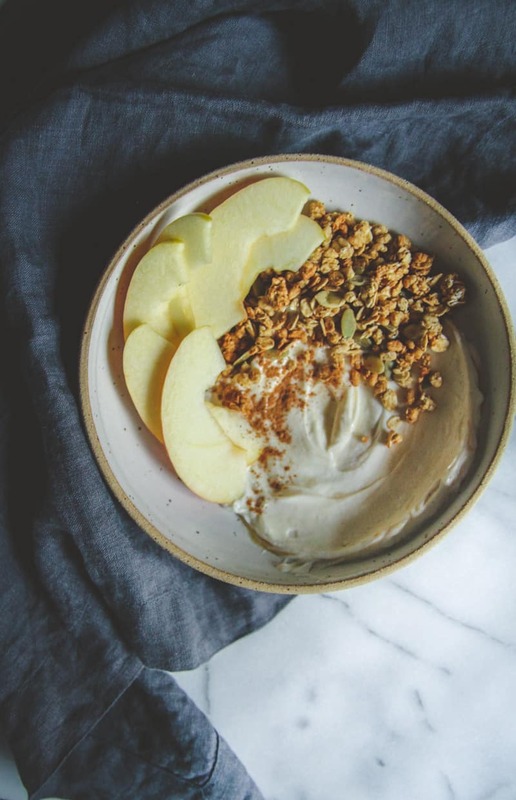 You just add yogurt and maple syrup (or honey- I like the taste of honey better) granola, an apple and a dash of cinnamon to a bowl, and voila, healthy breakfast bowl! I’ve also been having these yogurt bowls as a snack when I’m running late at work and know that it will be a while before dinner (because baby stuff takes 10 times longer than one thinks, and I just cannot give up snuggle time lol). You can also use whatever fruit you have on hand for these, yay for customizable recipes. Place yogurt in a bowl, pour in honey and mix. Top with apple slices (or other seasonal fruit). Add your favorite granola and sprinkle a dash of cinnamon on top, then enjoy! 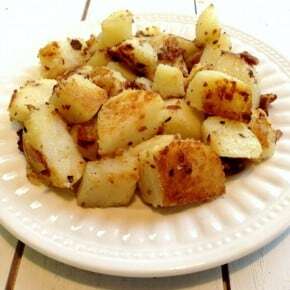 Recipe shared with permission from the Healthy Glow Co. Fall/Winter meal guide. This is a perfect breakfast recipe which can definitely give the necessary boost! Can I also add pear in addition to the sliced apple, Philia?